Robert Morris has been impressive this season. The Colonials, ranked 19th nationally, are 12-3-3 overall as they prepare for this weekend’s nonleague series against No. 13 Bowling Green (11-3-2). The series starts Saturday at noon with an outdoor game at Fifth Third Field in Toledo and concludes Sunday night at 7 in RMU’s 84 Lumber Arena. RMU leads Atlantic Hockey with a 9-2-3 record. The Colonials were second in their league coaches poll, but received three first-place votes. “They’re a team that expects to win every game, no matter who they’re playing against,” BG coach Chris Bergeron said. “That in itself brings challenge, and you better be prepared to play at a high level when you face teams like that. The Colonials have been on a roll since losing a 3-2 decision to BG Dec. 28, 2013 in the consolation game of the Three Rivers Classic. RMU lost just four players from that team and returns many of its key players. The Colonials are 29-9-6 since that loss to BG. 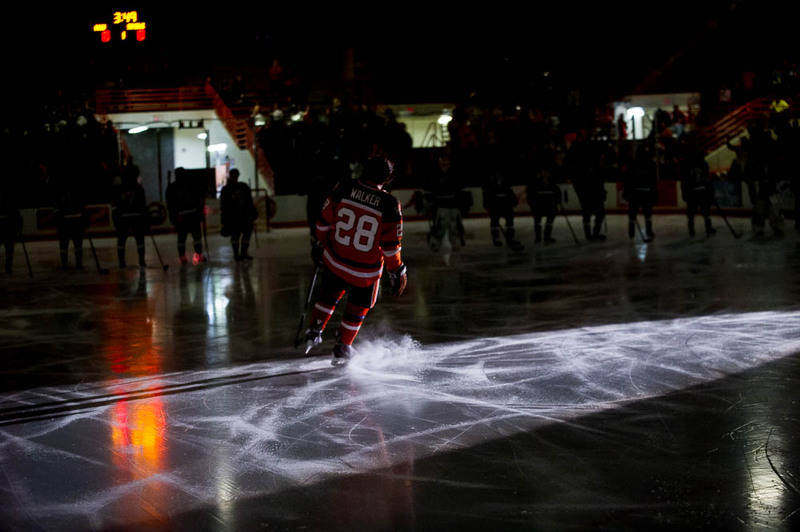 Last season, they won the Atlantic Hockey playoff championship to earn a berth in the NCAA playoffs where they lost to Minnesota in the first round. “They’re one year older … They’re a much more confident team than when we played them last year,” Bergeron said. WINNING PERCENTAGE: The Falcons and RMU are tied with Boston University and UMass-Lowell for the fifth-best winning percentage in the country. Top-ranked BU is 11-3-2, while No. 9 UMass-Lowell is 12-3-3. MORE RMU: The Colonials have one of the highest-scoring teams in the nation. They’re averaging 3.94 goals per game to tie Minnesota for first place in goals per game. Senior forward Cody Wydo is tied for seventh nationally in points per game (1.39). He has 11 goals and 14 assists in 18 games. Sophomore forward Daniel Leavens is tied for 14th in ppg (1.21). He has five goals and 12 assists in 14 games. The Colonials are allowing 2.5 gpg. RMU’s power play is tied for eighth nationally at 22.7 percent (17 of 75), while its penalty-killing is at 83.8 percent (58 of 75). Junior Terry Shafer and sophomore Dalton Izyk each has started seven games in goal. Shafer has a 2.37 goals-against average and a .911 save percentage. Izyk has a 2.64 goals-against and a .922 save percentage. “They’re a real offensive team,” Bergeron said. “They present us with all of the challenges we’ve faced so far, whether it be league games or nonleague games. They can score, and they’ve got individuals who can hurt you if you’re not paying attention. BG PK: The Falcons are second nationally in penalty-killing at 91.8 percent (56 of 61). Vermont is first at 93 percent (66 of 71). STREAKING: The Falcons are 4-0-1 in their last five games, tying for the second longest active unbeaten streak in the country. Minnesota has won seven straight games, while Bemidji State is 2-0-3 in its last five games. WCHA SERIES: RMU has faced one Western Collegiate Hockey Association team this season. The Colonials posted a 3-1, 3-0 sweep of visiting Lake Superior Oct. 10-11. HISTORY: BG’s win over RMU last season was the first meeting between the two schools. FRIEND OR FOE: Andrew Pikul, the son of former Falcon Mike Pikul, is a freshman goalie for RMU. Andrew Pikul has played in one game, stopping all six shots he faced in the final 15:18 of RMU’s 5-5 overtime tie Nov. 21 at American International. He is from Cleveland and played last season for the Brockville Braves of the Central Canadian (Junior) Hockey League. 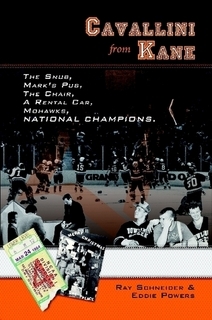 Mike Pikul was a standout defenseman and co-captain on the Falcons’ 1984 NCAA championship team.